An easy guide to cooking with wine – both red and white wine. 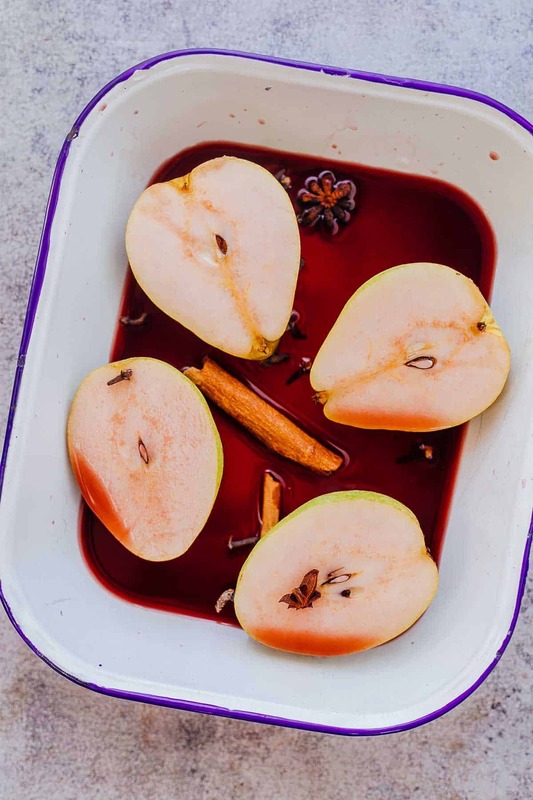 This is a how to to using wine in food to elevate and add flavour to your food. I don’t doubt anything that Julia Child says, and I’m definitely with her on this one. 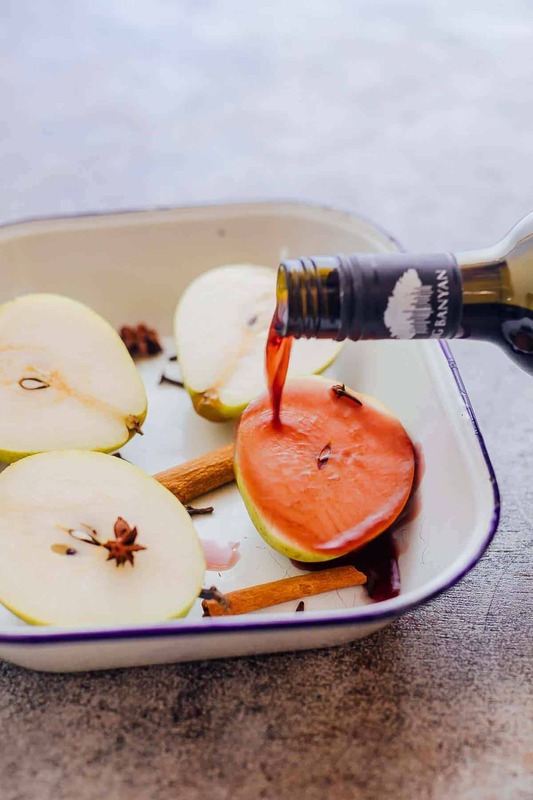 There is nothing as fancy as opening a bottle of wine while you are whipping up a meal, pouring some into a glass and adding a splash to your dish while its simmering on the stove. But it’s not as simple as that. Cooking with wine is one of the most misunderstood techniques in the kitchen and here’s a quick guide to cooking with wine to help you get started. What happens when you cook with wine? 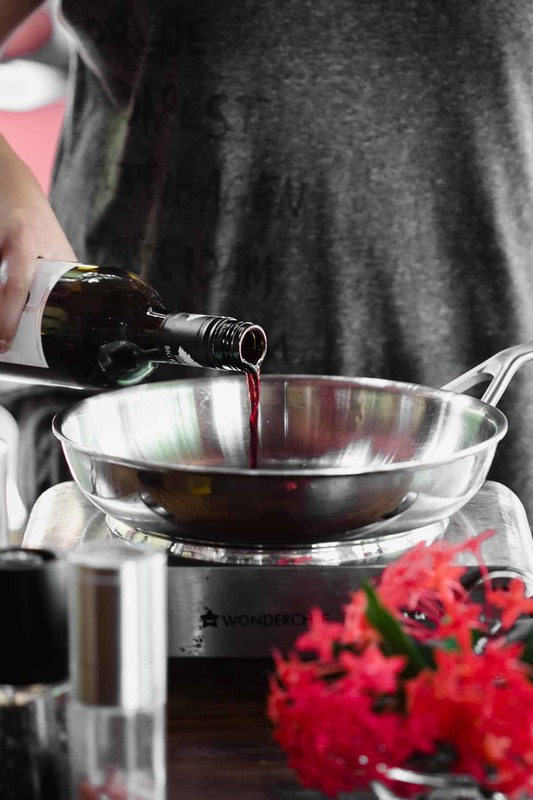 When you add wine while a dish is cooking, some or all the alcohol evaporates as it simmers and what you are left with is the concentrated flavors of the wine. This makes it important to understand what wine to pair with which foods. White wine pairs well with delicate foods like fish and seafood, or even some vegetables and brings out their flavors; while red wine pairs well with red meats or more robust meats like pork. It’s important to understand the basic flavor profile of the wine you are using before adding them. For example, the sugars in a sweet wine will be far more concentrated as the wine cooks down. Similarly, the tannins and acids in a red wine will add those flavors as you cook it. Which wine to pick while cooking? Like Julia said, don’t cook with wine that you wouldn’t normally drink. That is because the wine that you cook with will impart its own flavors to the dish and add to it as you cook with it. This does not mean that you need to pick only the most expensive wines to cook with. All you need is a good quality wine from wine makers like Big Banyan, who handpick grapes from vineyards in Nasik and Ramnagar and work with their chief Vintner from Italy, Lucio Matricardi to produce some fantastic wines. Components of wine: Consider the components of a wine because those will become more pronounced with cooking. Wine contains sugars, tannins and acids, and each wine has a different composition of these elements. Reduce the other components such as lemon juice or vinegar while adding wine so that you don’t overdo the acidity and throw the flavors off balance. While using vegetables such as onions, carrots or leeks which are high in sugars, stay away from sweeter wines and use full bodied less dry wines. White wine: melon, Citrus (orange, lemon), Olives, Mushrooms, Asparagus etc. Red wine: Peaches, Pears, Plums, Cherries, Chocolate, Berries etc. Wine can be really versatile to cook with. And you can just do much more than adding a splash to the pan while cooking. Here are five different ways in which you can cook with wine. Substitute a part of the liquids in the recipe for wine. Most of the alcohol in the wine will evaporate but what you’ll be left with are the flavors. Big Banyan’s dessert wine or merlot are good picks. While cooking with wine can be serious fun, it’s important to know that a little can go a long way. Wine should never be added towards the end of the cooking time because it needs to cook down, the alcohol needs to evaporate so that you are left with mostly flavor. Start with a splash and increase the amount as you taste to achieve the right balance. Cooking with wine is really an adventure! Just keep experimenting with flavors till you figure out what you like.